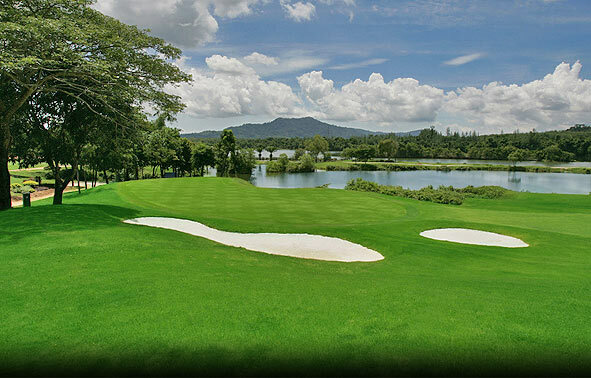 A it's name suggests, water features heavily on the Lakes Course, with no less that 17 of its 18 holes incorporating the striking semi-natural water features carved into the landscape from the flooded canyons of Phuket's tin mining past. This course offers a very different game to its sister Canyon Course but is every bit as challenging and rewarding. With 5 sets of tees to choose from, it allows you to choose the pace and complexity of the game. 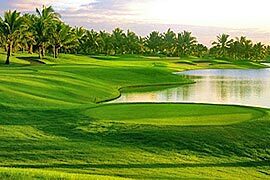 Coupled with wide fairways and generous greens, it means that the Lakes Course can be enjoyed by the modest hitter and amateur while those long hitting veterans choosing to tee off from the Pro tees embark on a rigorous round of 7,129 yards of challenging golf fit to test the best. 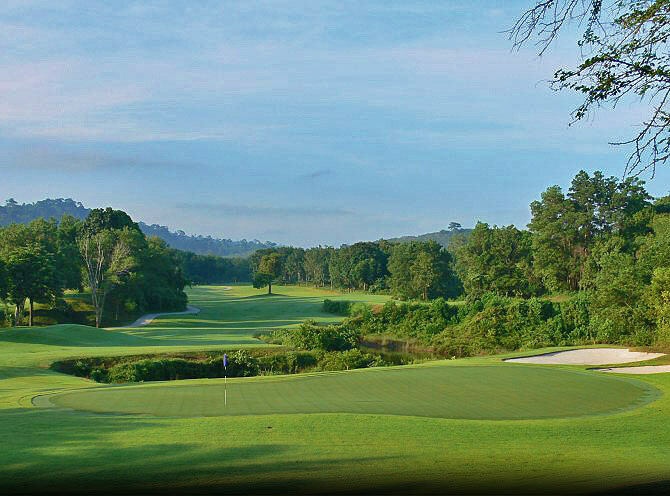 The 18th hole is a par 4 with a remarkable finish, being voted by Asian Golf Monthly in 2003 as 'Best Par Four in Asia'. Use of golf cart at The Lakes Course is compulsory. The golf cart rental for 9 holes is 400 Baht/cart/person. 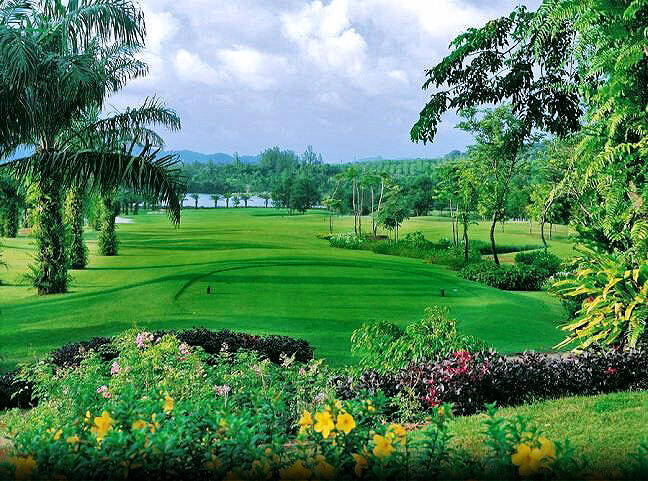 The golf cart rental for 18 holes is 700 Baht/cart/person. 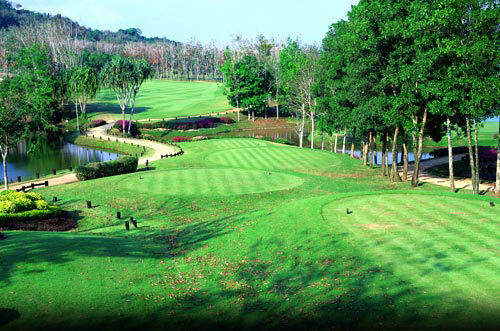 'Green Fee Only' rate is NOT include compulsory caddy fee of 200 Baht/person (9 Holes) and 350 Baht/person (18 Holes). Rates above are NOT inclusive of caddy tip. 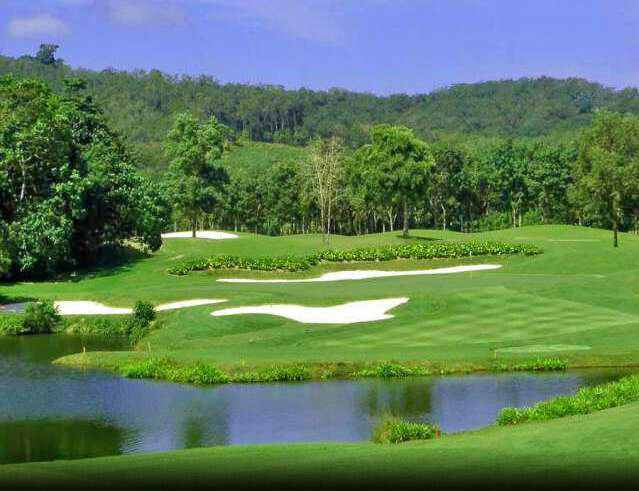 Blue Canyon Country Club has recommended to tip their caddy from 300 Baht (9 Holes) and 400 Baht (18 Holes). You can give it directly to your caddy after the game. 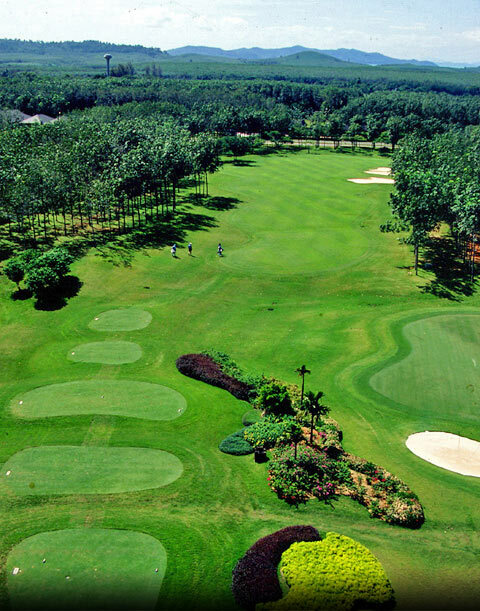 Follower fee of 2,000 Baht (9 Holes) and 3,450 Baht (18 Holes) per non-golfer must be paid to the proshop, if you have non-golfers accompany into the course.